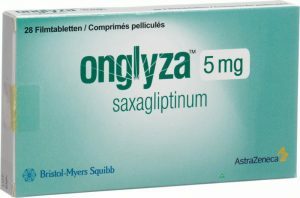 Onglyza (Saxagliptin) is a prescription medication used to help manage blood glucose levels in individuals with type 2 diabetes. Diabetes mellitus type 2, also known as type 2 diabetes, is a chronic metabolic disorder that is characterized by high blood sugar, insulin resistance, and relative lack of insulin. Although some diabetics can control their blood glucose levels with diet and exercise, many are prescribed pharmaceuticals to help manage the disease. 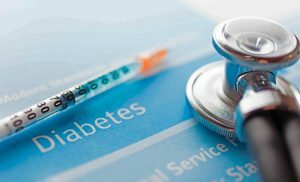 Pharmaceutical giants, AstraZeneca and Bristol-Myers Squibb teamed up to develop, manufacture and market Onglyza, which received FDA approval for the treatment of type 2 diabetes in 2009. Onglyza has been an extremely profitable venture and generated more than $700 million in sales in 2012 alone. Onglyza is a member of a class of medications known as dipeptidyl peptidase-4 (“DDP-4”) inhibitors. When non-diabetics ingest carbohydrates, which break down in the body to become glucose, it triggers the release of incretins. Incretins produce and regulate insulin in the body. The release of insulin allows the glucose in the blood stream to move to the cells of the body, where it is used and expelled as energy. This process is disrupted in individuals with type 2 diabetes. Although type 2 diabetics may produce incretins, the enzyme DPP-4 effectively destroys the incretin hormone before it can trigger the production and regulation of insulin. The result is that the glucose remains in the blood stream and the individual’s blood glucose level goes up. DPP-4 inhibitors, like Onglyza and Kombiglyze XR, work by blocking or “inhibiting” the actions of the DPP-4 enzyme. This allows the incretin hormones in their body to work properly and release insulin from the pancreas in response to a meal. What Is the Problem with Onglyza and Kombiglyze XR? The active ingredient in Onglyza is saxagliptin. Two large clinical studies recently showed that patients who received saxagliptin- or alogliptin-containing medicines were hospitalized for heart failure more than those who received a placebo. In addition to Onglyza, AstraZeneca also distributes Kombiglyze XR, which is also a DDP-4 inhibitor that contains saxagliptin as one of its active ingredients. Those clinical studies that were recently conducted showed serious cardiac risks associated with Onglyza and Kombiglyze XR and have raised concerns about the risks associated with use of the drug. 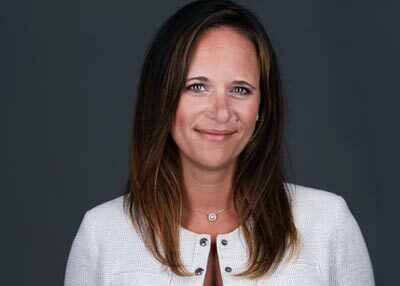 Public Citizen, a consumer watchdog group, questioned the safety of Onglyza as early as 2011, shortly after the drug received FDA approval in 2009. In a newsletter article, Public Citizen expressed their concerns over the lack of long-term data available on the drug and urged consumers to not take Onglyza until such studies were conducted. In February 2014, the FDA responded to the NEJM article by issuing a drug safety communication which made public the FDA’s request that the manufacturer of saxagliptin provide clinical trial data for the purpose of investigating the potential link between the drug and increased risk of heart failure. In April 2015, the FDA Endocrinology and Metabolic Drugs Advisory Committee voted by an overwhelming majority (14 to 1) to update the Onglyza label to include stronger warnings about the higher risk of heart failure associated with the drug’s use. During their discussion, the FDA panelists noted that patients taking this class of drugs had a 27% increase in the rate of hospitalization for heart failure and an overall increased risk of death, regardless of cause. One panelist felt that a labeling change was not sufficient and voted in favor of completely withdrawing the drug from the U.S. market. The FDA then issued a drug safety communication which required heart failure warnings be included on the labels for Onglyza and Kombiglyze XR, as well as all other DDP-4 inhibitors. In April 2016, AstraZeneca updated the Onglyza prescribing information to include warnings about the increased risk of pancreatitis and heart failure. In early 2017, warnings regarding the increased risk of bullous pemphigoid, a rare skin disorder, and macrovascular outcomes were also added. What are the Side Effects Associated with Onglyza? The FDA Endocrinology and Metabolic Drugs Advisory Committee has also advised that individuals with a prior history of heart failure and/or renal insufficiency have a higher risk of experiencing a serious adverse event when using DDP-4 inhibitors. What Are the Onglyza Lawsuits Alleging? Currently, individuals alleging injuries caused by their use of Onglyza are filing individual lawsuits against the AstraZeneca, Bristol-Myers Squibbs and, in cases of Kombiglyze XR use, McKesson Corporation. These lawsuits are still in the very early phases of litigation and have not been consolidated into a Multi-District Litigation (“MDL”) or a class action litigation. If you or a loved one used Onglyza or Kombiglyze XR for the treatment of type 2 diabetes and then suffered from congestive heart failure, cardiac failure or death, you may be entitled to compensation. If you believe you may have a claim, contact us today. There are time limits by which you need to file a product liability lawsuit. Those limits could time bar your case if it is not filed in a timely manner. Your state of residence, when you ingested the drug and when you experienced injuries could all affect how much time you have to file. Complete the form and one of our attorneys will reach out to you within 24 hours to conduct a free and confidential evaluation of your case. If you believe you or a loved one may have an Onglyza claim, contact us today. One of our attorneys will contact you within 24 hours to conduct a free and confidential evaluation of your case.